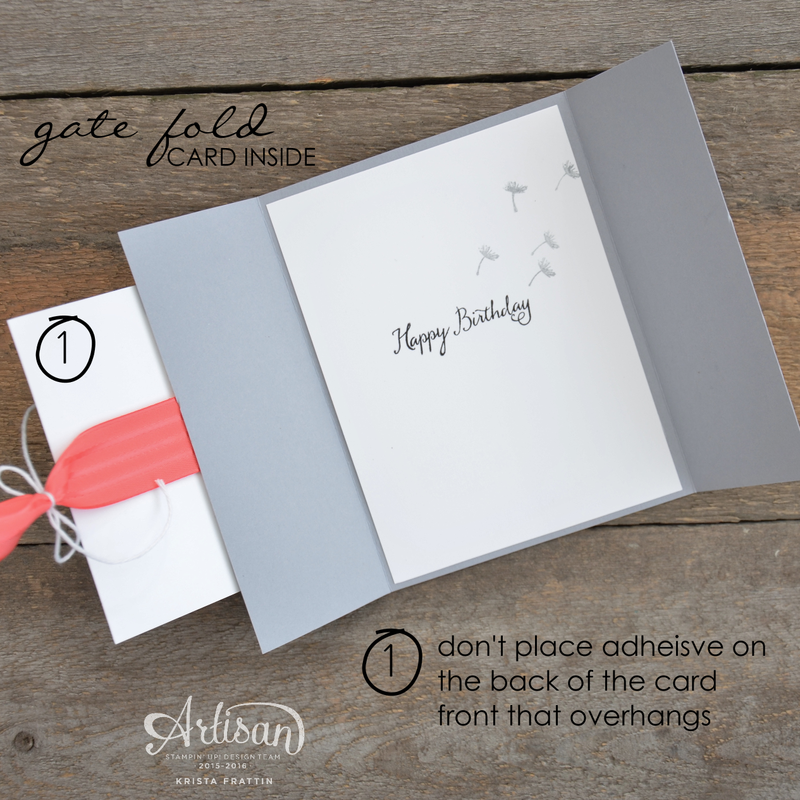 I have a fun fold card to share with you today! 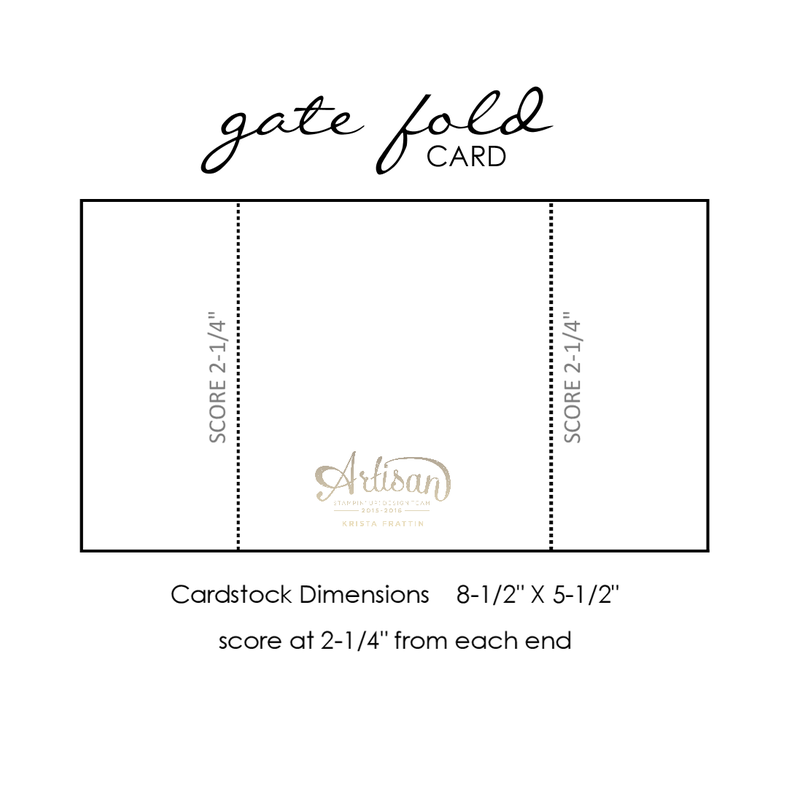 I have to say that this "gate fold" is one of my fave fancy card folds, simply because it is not fussy. All you need is a scoring tool or a paper cutter with a scoring blade. We created this at my demonstrator team meeting last week and they loved how simple it was. 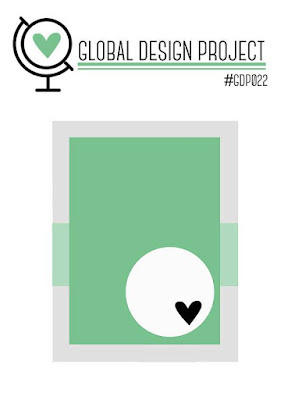 I created this card today for the Global Design Project Challenge GDP022. 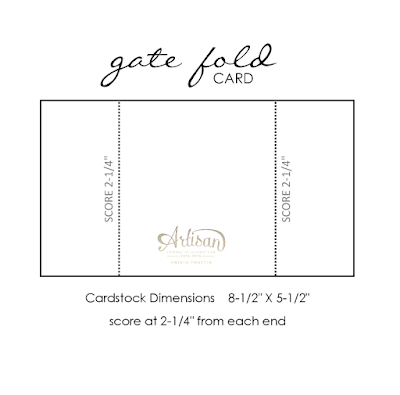 This layout is a great sketch and worked perfectly for my gate fold card design! The WATERMELON WONDER RIBBON is anchored on the right card flap and wraps all the way around the card to fasten behind the white card front. To conceal the start of the ribbon I added a layer of SMOKY SLATE CARDSTOCK (2" x 5-1/4") to each flap front. I used FAST FUSE to adhesive the ribbon at the back of the white card front. Quick Tip - Make sure that you do not add STAMPIN' DIMENSIONALS to the backside of the white card front where it will over hang the gate flap. 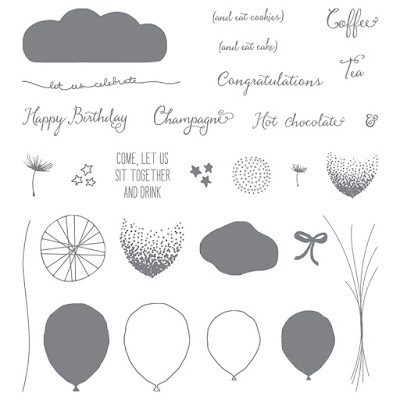 Before I go I have to draw your attention to the stamp set. 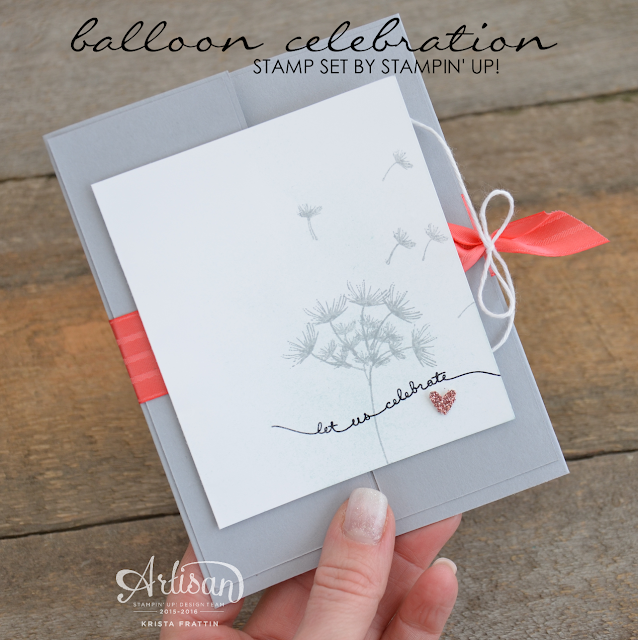 I used the BALLOON CELEBRATION stamp set to create this dandelion!!!!! Amazing, right?! Did you know that there was a dandelion in this set?? Have you paid a visit to the Global Design Project yet? Click over on over! The international design team (including yours truly) share amazing projects each Monday. Stampers from all over the world will be creating and posting their projects each week for the weekly challenges. There is always a lot to see and inspire you, this I can promise! If you are feeling crafty yourself, take the challenge and play along! Get all of the details at GDP.